This blog recently turned three, Thanksgiving lies ahead and so does Christmas. Three reasons to be thankful and to give (and receive) a gift. I will give away a bottle of vintage Shalimar Eau de Toilette in a refillable Habit de Fête bottle (the much more elegant older style) from ca. 1984 from my personal collection. The juice is in perfect condition. Unfortunately the shipping costs here in Austria are so prohibitively high that I cannot split this bottle to give to many of you, so instead we will have one really lucky winner. To enter for your chance to win, please leave a comment in this post stating why you would like to win this particular fragrance. Please share this post on Twitter, Facebook and any other social media of your choice (doing so gets you an additional entry). The giveaway is open worldwide, I will post the winner here next Friday. Unfortunately I can’t replace lost packages or be held responsible for any postal shenanigans. Thank you for being a reader of this blog! Good luck everyone! Update: The Giveaway is now closed! We have a winner! This entry was posted in Giveaway, Guerlain and tagged Giveaway, Guerlain, Shalimar. Bookmark the permalink. Wow, what an act of kindness. Sure it would be honor for me to win this vintage Shalimar, it is an eternal icon of the perfumery, especially in such a marvelous coat. I love and wear Shalimar with proud, it cannot be beaten by any of new releases. Thank you for such wonderful offer. What an incredibly generous gift. I couldn’t understand the fuss over Shalimar after trying it in the local department store. A generous swapper or splitter included a teeny tiny sample of vintage EdT in a package I received. All of a sudden I was swooning over Shalimar. While the modern Shalimar is related to the vintage, it is the vintage that is truly beautiful. As much as I would love to win this incredible scent, you need not enter me into your draw. I’m in the process of downsizing my collection. Very generous indeed. I’ve continued to read your blog since your hiatus, but have been silent in the comments field. With the blog going on three, it feels like it is time for me to chime in and celebrate with you! And who is not in need of a smokey vanilla fragrance, especially such an iconic one? Wow, vintage Shalimar! How magnificent! Shalimar was the perfume that opened my nose to the world of great perfumes. Smelling Shalimar for the first time made me realize that some perfumes are much more than just fragrant water you put on yourself to smell better (although Shalimar certainly does this job well). Some perfumes are works of art. Funny thing is I was prepared to hate Shalimar before I tried it. I thought I didn’t like vanilla and oriental perfumes. Little did I know….. It was love at first sniff. That Jacques Guerlain is one brilliant perfume wizard. I’ve since smelled a lot of great perfumes from Guerlain but Shalimar is still near and dear to me as it was my gateway Guerlain. Oh, that is super generous. I love Shalimar and don’t think I ever smelled the vintage version. Yesterday evening at the Perfume meet up about Orientals it caused strong and very mixed reactions. I don’t care if people say it smells of “mature” woman. I am a mature woman and not afraid of it. Wow that is really a great give away!! First of all I am a real Guerlain nerd..I love everything with the name Guerlain on it and second of all this perfume reminds me of my mother she loved this fragrance and I love it because it brings back beautiful memories. Congratulations on turning three Birgit! No need to enter me in the draw, but what a fantastic way to celebrate this wonderful event! Congratulations on your third year! I would love to experience the beauty of vintage Shamar, thanks for the generous offer! Congrats! What a fabulous draw! I’ve always loved Shalimar because my aunt wore it. As a kid I always thought she was much cooler than my mom because she wore perfume and nail polish. I wanted to be just like her. Oh Birgit, this is such a generous and thoughtful offer! My Mom always wore Shalimar, and when I was young I wanted nothing to do with it, for that reason. Now, I am so anxious to embrace it! Guerlain is the house that represents most of my collection. As they release these new versions of Shalimar (en route)… I purchase them with the hopes of Mom’s scent, but updated for me…I must admit, even though they are lovely, I think the smell of vintage Shalimar is what I wanted all along…Best wishes to the winner of this amazing opportunity! Shalimar was probably the first scent I ever knew the name of. A college friend wore it every time we would go somewhere. I would want to win for historical reasons I suppose. It is also a beautiful bottle. Congratulations on three years. Congratulations on your 3rd year. I have a weakness for vanilla & would love to experience vintage Shalimar. Thank you for your wonderful posts! What a great giveaway. 3 years and counting. That’s so wonderful. Look forward to many more posts. I would love to win this vintage Shalimar. I am a huge fan of all things vintage and vintage fragrances are what dreams are made of. Every vintage scent I have gotten my hands on, I love wholeheartedly. First, Chanel and now Guerlain. Thanks for the draw I will share this on twitter. Wow, how lovely – thank you for such a generous giveaway! Congrats on 3 years! Oh I would love this! I haven’t bought a bottle since spring, as I’ve changed careers and things are really tight this year until my business picks up. And I adore Shalimar! Oh what a generous giveaway! I think vintage Shalimar might be my favorite perfume ever (at least right now) so I’d love to win this. Not sure if I wished you already -but if not, a very Happy Blog Birthday to you!! Congratulations on your third year! I am a avid reader of your blog. What a great chance to experience vintage Shalimar. Here in the Netherlands, I’ve never even seen it. What an amazing giveaway. This is a very generous gift–thank you for holding this giveaway! Also, congratulations on 3 years! I’d like to win this because I haven’t really tried much Guerlain and this is a classic. I would love to win this, because Guerlain is my absolute favorite house, I dream of Guerlain at night and my best gift ever would be to travel to Paris to see “the mothership”. I want to collect many Guerlain perfumes, but my budget and small experience keep me from buying much. I’d love to be so lucky here. Why would I love to win this? Because to me, Shalimar is the Perfume of Perfumes, the go-to scent that is perfect for any occasion. When I can’t think of what I want to wear, “why not Shalimar?” always pops into my head! Thank you for the drawing! 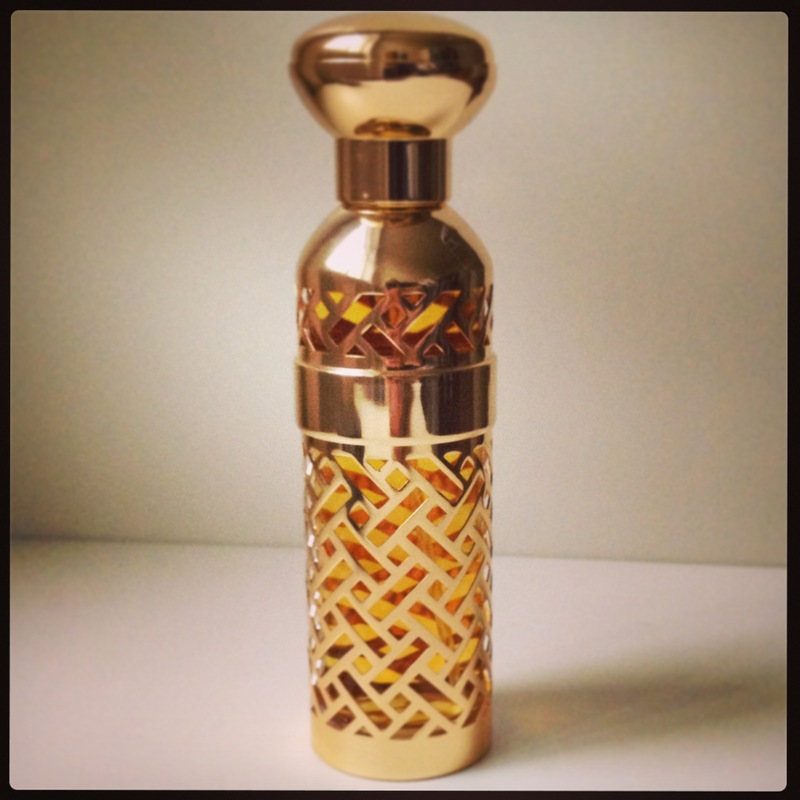 I have never smelled vintage Shalimar which is a shame because I love the modern EDT so much! Thanks for your generosity and congrats on turning three! Thank you for this offer, dear Birgit! And congratulations again for three years of wonderful writing and friendships 🙂 I have only sampled Shalimar in it’s newer form. I would love the chance to win the vintage bottle from your collection. Thanks again and happy weekend! P.S. I shared this on Twitter earlier. Wow! You are incredibly generous. Happy birthday! I would love to get my hands on a bottle of vintage EDT. I got a sample of EDP from early 1980s and it was stunning! I am just too cautious to shop on ebay (and too poor:(). I love Shalimar and have all the Vanille flankers but I am still lacking the original one as I dont like the recent version. What a generous draw! The Habit de Fete refillable bottle is as gorgeous as the scent and will complement my other Shalimar packaging! Shalimar was the first perfume I fell in love with, at age 8 sitting at my grandmother’s dressing table. Thank you for the opportunity to win this fragrance and for your wonderful blog! How exciting Birgit, thank you for the generous opportunity and congratulations to you! What an adorable bottle would love such a special Shalimar for special occasions. This was my mom’s signature scent. I am making peace with my past by wearing it myself lately. There is a special sort of comfort in this fragrance that trancends troubles. What a fabulous draw, thank you. I have tried current Shalimar but it did not bowl me over. But that also happened with L’Heure Bleue, until I bought the vintage…delicious!! Would love to win this Shalimar! In would love to be entered for this draw. My husband has told me that Shalimar was his mother’s favorite perfume because she always felt very “Ooo la la!” when she wore it. I would love to have the honor of wearing such an iconic vintage classic! Congratulations on three years of your lovely blog. I really goofed and did not mean to have my email public. Is it possible to remove my comment? So sorry!! What a thoughtful and generous giveaway. I would love to win this bottle so that my Guerlain Vol de Nuit bottle can have a twin. Thanks for this fabulous offer! For some strange reason that I cannot remember, I had a bottle of Shalimar when I was a teen back in the late sixties. It was way too grown-up to wear to school (I wore Wind Song instead) but alone in my room I would take whiffs of it and marvel at its incredible sophistication that was so beyond my little world in Brooklyn. Today I live in Paris, love perfume and especially Guerlain, but the Shalimar of today is only remotely the scent that I remember. Would I love a vintage bottle of this scent? Of course I would. It will always have special meaning for me. Congratulations on three years of a great blog. I have never commented before, but Shalimar has drawn me out of my shell! Thanks for a generous draw. Wow!! Happy birthday! Guerlain is my go to brand, when in doubt what to wear I always spray a Guerlain perfume. I would absolutely love to win the vintage edition of the Shalimar as I find both the juice and the bottle most adorable! Thank you for your generosity! Such a generous offer. I would love to win this beauty, but even if I don’t win, I’m delighted that someone else will be introduced to the beauty of this formula. Nothing can compare to the older formulations. whoever wins, enjoy! Shalimar was my aunt’s favorite fragrance. Unfortunately, she is gone now. But I would love to be able to give something like this to my mom who still misses her very much. Thanks for your generosity! Congratulations on your third birthday! What a marvelous birthday present! I simply adore Shalimar and am a huge addict of Guerlain perfumes. We are now lucky to have a superb Guerlain boutique in Versailles à la Cour des Senteurs! (Where we can try all the exclusives) I currently wear the 2012 eau de parfum version of shalimar but would love to receive this vintage version and the gorgeous Habit de Fête. It is so generous of you. And your blog is simply great, I visit you every day. While I have several flankers and the current EDP of Shalimar I have never tried the vintage and I would love to have the opportunity to. Thanks for the amazing offer! My mother always wore this scent so every time I get a whiff it brings back good memories. I haven’t smelled the vintage in a long while. This is an awesome giveaway btw. Happy birthday! Shalimar is such an icon and vintage even more so! Thanks for all of the time and love you put into the blog. Congratulations on your blog’s third birthday. I continue to enjoy it and it continues to inspire my interests in fragrance. This is a very generous giveaway on your part. I love Guerlain but I have not tried many vintage Guerlain’s, and would love to try this version of Shalimar if I am the lucky one. Shalimar…just the name evokes feelings of sensuality. I have been unable to afford it for many years but can never forget its luscious scent. Whoever wins will truly blessed to surround themselves in its lovely fragrance. Both my mother and my dear friend’s mother wore Shalimar. We both keep an old empty bottle by their respective photos. A woman is know and loved for many things and her signature scent is one. Thank you so much for this generous giveaway and congrats on the 3rd birthday! I’ve yet to try anything vintage, and I really like Guerlain and this bottle/case. Would love to win this classic! Congratulations on the third birthday! I’ve never yet had a chance to smell vintage Shalimar, and I would love to! I own a bottle of Ode a la Vanille (the Madagaskar version) but so far no bottle of Shalimar. When it comes to the current version, which do you prefer, the EDP or should I try to seek out the extrait? I think the current EdP is very good. I am only familiar with older extraits, so I can’t say anything about the current one, but in my opinion you would do very well with the EdP in any case. Dear Birgit, it is very generous of you to share your collection. I was going to say no need to enter me, I have so many Shalimars in my collection but I don’t have this one. And I just love the way this bottle looks like. P.S. I also want to say I am grateful you want to share such a gem with your readers, thank you. Oh, that’s such a generous gift! And the bottle is absolutelu marvellous! Shalimar was the very scent that started the whole perfume-craze for me. I got this stunning, midnight blur bottle with the EDP from my husband as a christmas gift, and it was instant and complete love, and has been ever since. In addition to smelling wonderful and making me feel like a diva, it reminds me of my husband and the bond that we share. Its a perfume that will be with me forever. Happy birthday to the blog as well, I drop by every day- think its a wonderful blog, filled with the loveliest scents,thoughts and people. May it live a long and happy life! First, congrats on your anniversary! Like many, my mother also wore Shalimar. I remember that smell as a little boy in church napping on my mother’s arm. Every time I am with someone that is wearing Shalimar it brings me back in time. A few days ago, I met with an older woman, she drove up and I went to the car to meet her, she was wearing ” a very old bottle dear of Shalimar, it is almost empty, you wouldn’t want it,” I was engulfed in the incredible scent because of the car heater. I almost burst into tears as it brought back so many memories of my beloved mother. I too have worn Shalimar on and off as a man for over 35 years. None of the new versions today of this masterpiece come close to my ‘nose.’ I have worked in the ‘beauty’ industry for over 40 years and still do. I just returned from Paris and after making my purchases, the sales woman gave me the virtual bath as they often do, I as washed in Shalimar, but it wasn’t the same fragrance I remember. I know that your giveaway fete bottle contains the juice I know and love so wellso well. I would really to win it as it brings back the memories of my youth. I read your blog daily and truly love your gift of verbiage. Good luck to all who enter this contest. How generous! Your bottle of Shalimar is from the same decade when I was sneaking around the Guerlain counters but being a student had no money to buy one of them. So, of course I am interested. Congrats on these three years! That’s a classic, my wife would love it! I recently got into perfume! Pick me please!!!!!! You are so nice to offer it. I would love t win it! Happy Birthday to the blog! Thanks for sharing your beautiful scented thoughts with us… and there is always room for some vintage Shalimar in our lives, so it would be great to win! Happy birthday to Olfactoria’s Travels! Congratulations on keeping up your wonderful blog and, well, keeping it wonderful. 🙂 I always enjoy reading. Thank you so much for the generous draw. Why would I like to receive this? Because as much as I love Shalimar, I haven’t smelled it in vintage form! And now I am in love! I’m not certain of the vintage of this particular sample, but I have also been fortunate to have some vintage fragrances bestowed upon me by other Fairy Godparents, and I find them, as a rule, extraordinary. So, yes, please, I would love to enter this extremely generous draw. Happy blog birthday and happy holidays! Yes please enter me in your draw. I’ve tweeted your link as well. I am yet to try Shalimar on skin but I sprayed it on a strip last Friday and miraculously I can still smell it today. It seems to have nuclear staying power. I have however bought Ode Vanille ….. Mexique and Parfum Initial as I thought they would ease me into the real deal. I really love both of these and Shalimar is now calling to me as well. Thanks for the draw. I would love to win this for my mother! She laments that her beloved Shalimar has changed, and not for the better! Congratulations for reaching the 3 year tidemark! Thank you for the draw! I’d love to be able to smell vintage Shalimar. I have the current EdP and it’s already a very good fragrance. can’t even imagine what the vintage smells like. What generosity! Well this is one of my favorite fragrances still. And this would be the first vintage in my collection ;-). While I’m not for the old Guerlains (except VdN), my Mom adores them. So I’d give the bottle to my mom (for Christmas or just because) to say Thank you. Wow, this is so generous. Shalimar was my first must-have-immediately-perfume, when I started discovering the world of scents. I simply love it, especially the Madagascar Vanille, so rich and deep. But I never had a chance to smell the vintage EdT. It makes me very very curious. Thank you, I’m going to share this on FB as well. What an amazing giveaway! 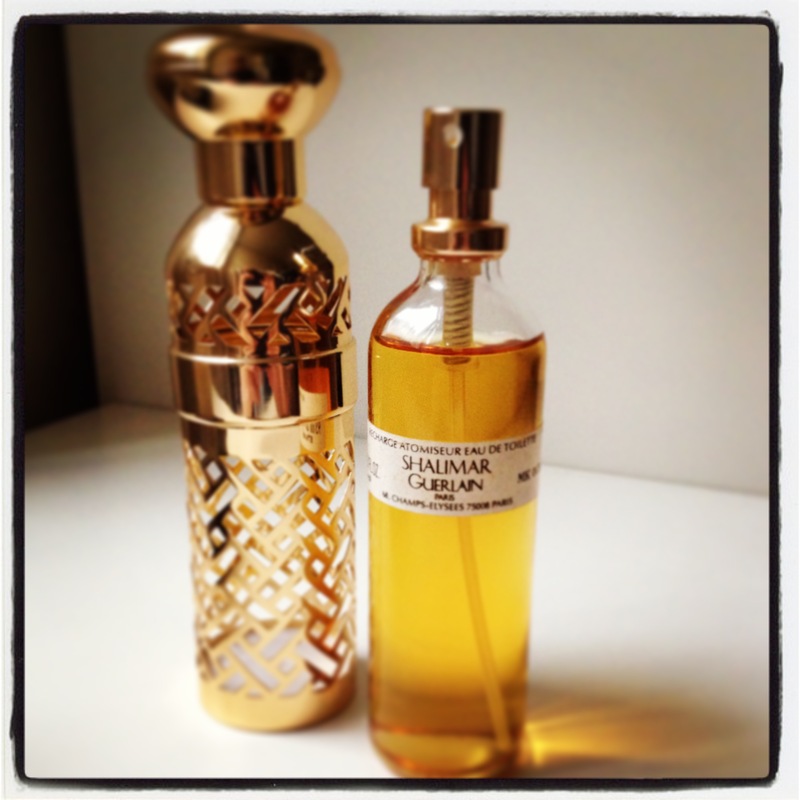 I really love Shalimar, I have it in EDP and in parfum but never had the opportunity to try the vintage version. I would love to win it! Thanks for the draw and happy 3 years to the blog. I ve tried it (not vintage version) for the first time 3 weeks ago in Prague – it would be great to win it and start to build small collection of Guerlain scents. :-) Shared this on my twitter. I do not know what to write really. I just saw the word “Shalimar” in a web and it brought me here. When I wear Shalimar it walks after me but when I do not – I walk after Shalimar). Seems impossible to separate us. First time I met Shalimar..I lived in Eastern Europe and was divorced, with little son, feeling quite down. In Internet I met a French man who after FIRST time of talking to me decided to fly over to meet me. We met at a restaurant and after main course he simply took out from “somewhere” a dark blue box and handed it to me? saying “I Am sorry, perfumes are personal thing, but you are so much a Shalimar”… I never had any of Guerlain then, never heard of Shalimar. I didn’t open it then. I opened it later at home before night. It was strange feeling. Like Cinderella became a Princess. Everything was in it. My hopes, my longing to be adored, luxury of cosy fur on the frost, fireplace, late dance in the palace…I was bewitched. In that day I realised that it will be love forever and it is the best Thing – I ever had given. Years have passed, I Am not that miserable eastern-european girl, I live as I always dream – in UK – i have wonderful family and lots of other perfumes. But still I know and always say – the only Thing that I love and can not live without – is Shalimar. As about true love I could talk about it for ages. But anyway. That Is my story.